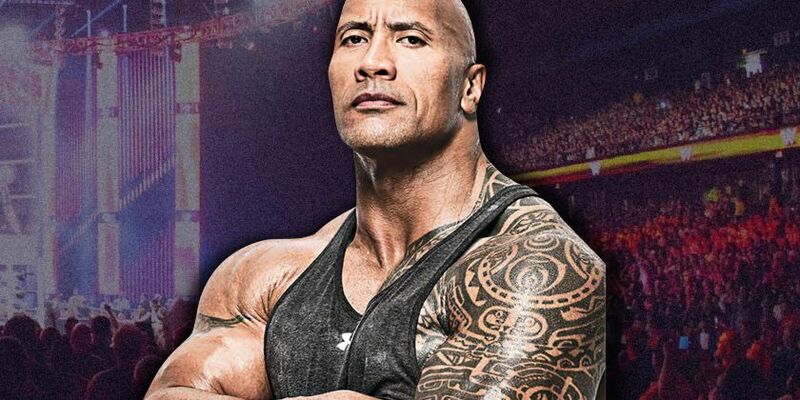 The Rock took to Twitter this week and praised WWE Hall of Famer Steve Austin for being a "tough SOB" in the ring. Responding to a tweet that marked the 20th anniversary of Austin's beer truck bath on Rock, Vince McMahon and Shane McMahon, Rock recalled their legendary WrestleMania 15 match, which saw Austin defeat The Rock for the WWE Title in a No DQ match that had WWE Hall of Famer Mick Foley (Mankind) as the special referee. Rock wrote, "My tough SOB brother @steveaustinBSR was operating here with a legit broken neck so we had to be creative with keeping our physicality to a minimum until our big WrestlemMania match. The result was one of the most entertaining segments to ever take place on LIVE TV." That tweet led to Rock defending former WWE writer Vince Russo. Former Empire of Soccer editor and wrestling fan David Martinez responded to the beer truck video and wrote, "You know, @THEVinceRusso catches a lot of crap, but segments like these are the ones that captured my imagination as a young fan and had me tuning in each and every week. The writing. The talent. What an amazing time to be a fan. Thanks to all involved!" Rock responded to Martinez and said he had a great time working with Russo. Rock said, "Not sure why @THEVinceRusso would catch crap over this. I had a great time working with that guy. I had some crazy out of box ideas and never once did he bat an eyelash. He'd always say, "f--k yeah let's do it". And we did. And we killed. Always fun!"